Which pro athletes do you work most closely with? I work closely with World Cup downhill athletes and Enduro World Series racers, including Aaron Gwin, Danny Hart, Greg Minnaar, Rachel Atherton, Richie Rude, Tracy Moseley and many more. How should a rider go about setting up suspension? For our World Cup racers, we follow a bracketing chart. This is done by making minor adjustments to see if they positively or negatively affect the bike’s suspension. For a trailbike, you should first set your sag to 25–30 percent in the rear and 15–20 in the front. Make sure you can achieve all of the bike’s travel without bottoming out hard. Next, move to hydraulics and make minor adjustments one click at a time. Ride a section of trail and determine if that adjustment made the suspension feel better or worse. Make one small change to your setup at a time, and follow up that change with another lap on that same section of trail. How can riders take better care of their suspension? Suspension needs to be serviced regularly—about once a year—to work properly. It’s impossible to tune suspension to feel good if it has not been serviced in a while. Contrary to popular belief, riders in dry and dusty conditions will need to service their suspension components more often than riders in wet and muddy conditions, because the small bits of dust, sand and debris can more easily pass the seals into the fork. What are some of your favorite suspension tips? Here is a list of a few helpful tips. 1) It’s important to keep seals clean, but avoid using high-pressure water or compressed air to clean them. It’s best to just use a clean rag and wipe the seals and stanchions clean. 2) A zip-tie can be used as a bleeder valve to help release air trapped in the lowers. This can happen when a bike is transported to higher elevations. Take a small zip-tie and gently push it past the seals until you hear a small release of air. 3) Hang your bike vertically on a wall with the front wheel up. This will allow the oil in your fork to work its way up and help keep your suspension lubricated. 4) Keep a suspension log and note changes you’ve made. Detail is key here. Write down the psi in both your front and rear suspension and make note of the number of clicks you’ve made to your rebound and compression dials. What are your favorite tips and tricks for setting up suspension? 1) The bike is a system; make an effort to balance the front-to-rear spring behavior. This can be accomplished most easily with the dampers set fast (open) in order not to mask the spring’s influence. This can be done with a few simple tricks. Start with sag set equally (spring preload). Next, while holding the bars with some down pressure similar to an aggressive riding position (seated for XC) and standing on the pedals with your weight centered, lightly bounce up and down. This demonstrates the rate of the spring system around the sag point. Both ends of the bike should compress and extend equally, or just slightly faster in the rear. Next, ride around some bermed corners or a flowy section. The bike should still be balanced, not dropping more on one end than the other. If a change is needed, at this point forget sag and focus on the dynamics of the bike. You don’t ride static, so don’t over-emphasize static sag. The rider will be rewarded with always-neutral steering and better stability through rough sections with less pitching and less negative influence from one end to the other. The rider will not need to shift around as much and can ride more relaxed. Now the damping can be focused on controlling velocity rather than band-aiding the bike. 2) Don’t be afraid to experiment with suspension settings! Keep a detailed log with all your fork and shock settings, as well as notes of terrain conditions. Only adjust one setting at a time, and note not only the change but also the result. This type of incremental experimentation will allow you to get the most out of your equipment. In a Dorado Air-equipped fork, experimenting with main chamber and secondary chamber pressures (IRT) is one of the best ways to balance the front and rear suspension. IRT allows actual rate changes in the critical mid-stroke rather than just sag and progressivity in the last third of travel. —Mid-stroke spring rate is critical to front-to-rear balance (cornering, front-end support in descents and braking, [along with] reduced pitch). —Top-out-to-sag behavior is critical for small-bump sensitivity (low friction, good top-out system, active low-speed rebound and compression). —High-speed rebound is critical for great traction and recovery in rock gardens. When it’s too slow, you pack up and it feels like a hardtail after several impacts. —Compression damping controls the energy going into the system at the wheel (bottoming in rock gardens) and downward chassis movement (landing a jump, pedal bob) and creates the tire feedback needed to ride on the edge of control. 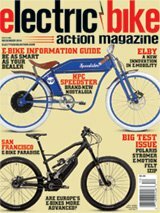 How should a rider go about setting up his or her bike’s suspension? Always start by setting sag and adjusting air pressure or spring rates to get close to the frame manufacturer’s recommended sag for the shock. Personally, I run 25–35-percent sag on the rear shock depending on the frame, the frame kinematics and the riding I’ll be doing on that bike. I usually run about 15–20-percent sag in the fork; however, I don’t worry about measuring the sag in the fork as much as I do the shock, because I go off of feel, such as ride height under braking and how it feels in steep, ledgy terrain or when I’m smashing into a berm and need the fork to be supportive. Set your rebound after setting the sag so that you’re working around the correct spring rate (air or coil). If you’re riding an air-sprung shock or fork, you can adjust the air volume/progression of the air spring after riding and confirming the sag setting. If applicable, adjust compression to get the feel you’re looking for. Spring rate/sag is the most important, along with your rebound setting. These two settings will make or break your bike’s performance. I can’t tell you how many times I’ve heard somebody complain about his fork/shock feeling harsh and immediately try to remedy the feeling by adjusting compression damping or spring rate/air pressure. Nine times out of 10, the issue is actually the rebound setting being too slow and causing the shock/fork to pack up during successive compressions. Also, don’t judge a setup on how it feels in the parking lot. 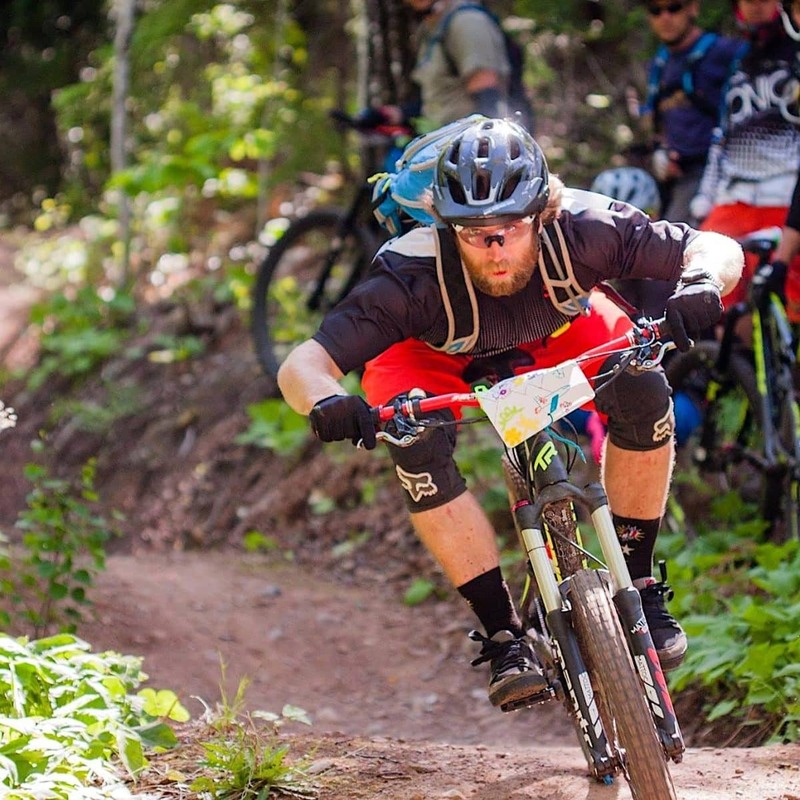 You must get on a trail and up to speed while hitting rocks, roots, berms, jumps, etc. to see how the settings are actually performing. What are some negative riding characteristics that can be fixed with minor suspension adjustments? Rebound damping is incredibly important to getting a high-performance setup, and it’s very easy to adjust and feel the difference immediately. Too fast and you lose traction and ground control; too slow and you get the feeling that the bike is harsh and not responding correctly to the terrain. I also feel that low-speed damping (both compression and rebound) is very important to finding a stable and confident setup. Keep in mind that you can make a mediocre bike ride pretty well with a good setup, and you can also make a great bike ride horribly with a poor setup. How can riders increase the longevity of their suspension? Keep components clean and pay attention to service intervals, tailoring them to the conditions you ride in, how much you ride, etc. Learning how to do simple routine maintenance for air can and wiper seals on a shock or wiper seals on a fork is the best way to protect your investment—similar to changing the oil in that new Tacoma you just bought. Also, pay attention to the fork/shock when shuttling or storing your bike. Don’t let anything contact the body/stanchions and cause scratches or dings that will lead to leaking oil and/or air as well as expensive repairs. If you want to get the most out of your setup, it’s worth spending some time on a trail that you know well where you can do multiple laps without tiring yourself out to the point where you’re riding at a passenger level. Take notes on your settings and your likes and dislikes on those settings, and then start changing one setting at a time until you find the setting that gives you the most confidence. I can’t stress this enough: only change one setting at a time so you can isolate the feeling the setting change made. The setups on your fork and shock should complement each other so they work together as a balanced system. Keep in mind that this base setting you have will likely need to change slightly for different conditions, such as drastic temperature changes, muddy versus dusty trails, etc. I’d also recommend that you do what feels best to you and not be a lemming and run the same setup that your buddy rides on a different bike, shock, fork, etc. You are an individual, and your setup should be tailored to you and your riding style. Oh, and please, never, ever, ever run the rebound on your fork slower than the rebound on your shock. You will get thrown over the bars faster than if you were riding a bucking bull.